With Christmas on the horizon, it can sometimes be difficult to find that right present or even worse you find yourself having that Christmas Eve panic when you realise you still haven’t bought a gift for a relative or friend. Christmas goes as quickly as it arrived, New Year comes along and then it’s back to the usual day to day activities for the next year. So why not do something different this year and give a gift that is not only going to be different, exhilarating and fun but will keep on giving well into 2017? 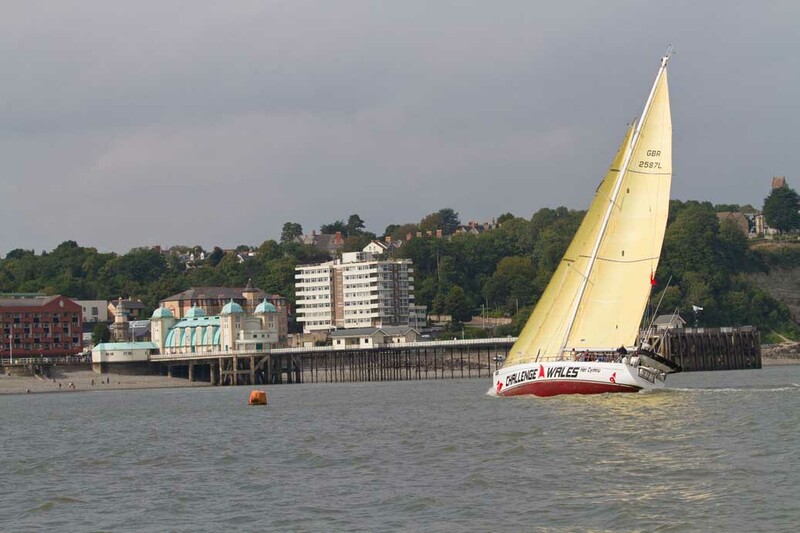 This year on Tuesday 27th December 2016, Challenge Wales | Wales’ Tall Ship will be hoisting the sails and heading out to sea in the Bristol Channel off Penarth for its FUNdraising Sail and Curry voyage. With no sailing experience necessary to take part, this is a fun way to give to a local Welsh charity while blowing away the Christmas cobwebs and having loads of fun. A full day of sailing and a curry meal, it’s certainly a gift with a difference! Everyone who purchases a place on this adult day voyage will be contributing to the Challenge Wales bursary fund, a fund which helps fund Welsh residents aged 12 – 25 years to learn employability skills through sailing. So by joining Challenge Wales on one of her big boat sailing days you will also be giving a life-changing experience to others. And, what’s more the Challenge Wales sail training charity has found that often those who sail onboard on one of her adult fundraising trips come back as a volunteer to jump aboard on one of her many life-changing sailing adventures. Whether on your own, with your partner or a small group of friends or colleagues – come and join Challenge Wales! The next big boat sailing days on Challenge Wales are Sunday 27th November 2016 (£95) and Tuesday 27th December 2016 (£99). Gift vouchers available. Further details can be found on the sailing page of www.challengewales.org or by emailing reservations@challengewales.org or telephone 029 20 704 657. Waterproof jackets & trousers and lifejackets provided, as well as all food and refreshments during the day and training. A curry meal is only served on Bank Holiday 27th December 2016. Maximum age 75 years.